Niels Frederique Manné (1865-1912) – Danish-Belgian theologian, Jacobian researcher and explorer. Died in Leopoldville in 1912. Franz Kafka’s Der Prozess might be more widely known, but for the topic of Jacobian research, one might argue that another student of Prague’s Charles University have created a more important work (even in terms of pure literary value). Niels Frederique Manné’s diary from his time in Leopold’s Congo, Der parallele Prozess, offers an insight in the process of Jacobian research that scholars see as unparalleled in the western canon. Niels, a devout Christian, born as the only son in a Belgian-Danish family, studied theology in Prague in the 1880’s. However, he never finished his studies: when he met the post-Hegelian philosopher Jean DeWire, his interest in such affairs diminished. 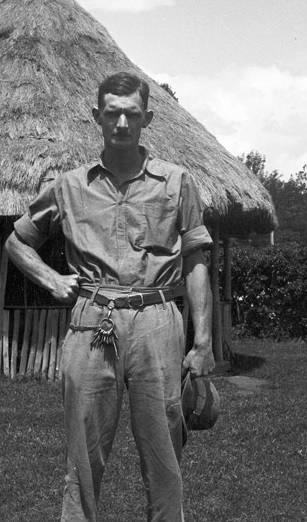 DeWire persuaded him to travel to the remote jungles of the Congo, to explore and research the culture of the natives. Upon his arrival, Manné soon discovered an interest for what he felt was clear signs of the Jacobian Algorithm in many aspects of the native culture. He stayed in the Congo until his death: he passed from sleeping sickness in Leopoldville in November 1912. Ensuing his death, DeWire posited that the diary was named from the fact that he in parallel explored many themes and topics; the jungles of the Congo, the Jacobian myths and his own personal faith. From his diary, we here present some passages of special interest. Jacobian and Hessian matrices are indeed needed in many algorithms in scientific research, including algorithms for nonlinear optimization, differential equations. Moreover, these are needed to achieve the goal of theological running time. A missionary vertex is indeed needed for these heathens. No edge binds them to the knowledge of our modern world. The river is like a vein, giving life to this green ocean. The branching factor is tremendous, no mortal could prune it. Both my faith in God and my belief that a Jacobian Algorithm was conceived here, are getting stronger – as in parallell. I am very ill. Death, that gold-draped, bearded creature, is coming for me. But I lived not in vain, for I have found proof of the Jacobian conjecture, that Krimean hypothesis. I have but one bottle of Josef’s spirit left, who should be empty first, it or me? October 1912, Leopoldville, only weeks before his death.